A new monthly publication will use Pro Bono Australia’s extensive experience and depth of reporting to deliver a synthesis of the best ‘must reads’ for Australia’s Not for Profit board members. 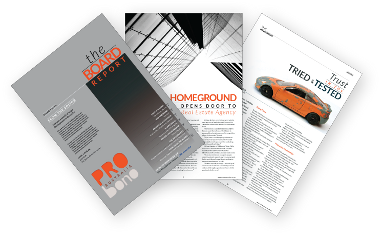 Pro Bono Australia, in conjunction with CPA Australia,has launched its newest offering: The Board Report – a monthly publication designed to strengthen the knowledge base of the board members of Australia’s 600,000 community sector organisations. The Board Report draws curated monthly content from the Not for Profit sector and the corporate community to ensure board members are across the issues and exploits in the dynamic and changing community sector. “In the last few years the pace of change in Australia’s Not for Profit sector has picked up. The growth in the social economy has been significant and every area of activity in Not for Profit organisations has been affected,” Pro Bono Australia Founder Karen Mahlab said. “Many of these changes affect strategy, asset allocation, financial reporting and staffing. If boards are to be able to make informed decisions for the future of their organisation, they need to know about the changes and the opportunities happening in the sector. “Utilising the knowledge gleaned from over a decade of reporting on the sector, The Board Report will be a fully curated synthesis of what board members need to know – delivered in a readable, simple and accessible format monthly. “The best thing about it is that it's designed so it can be easily distributed by email via a beautifully produced document to keep board members in the loop,” Mahlab said. “It is a low-cost, efficient way to keep up to date and generate quality conversations about issues and trends impacting your sector." GM Public Sector Engagement I CPA Australia Kerry Mayne said. Subscribe today and stay ahead of the game and be across the key events in the sector each month! The March edition is available now. A yearly subscription for only $99! More information here.